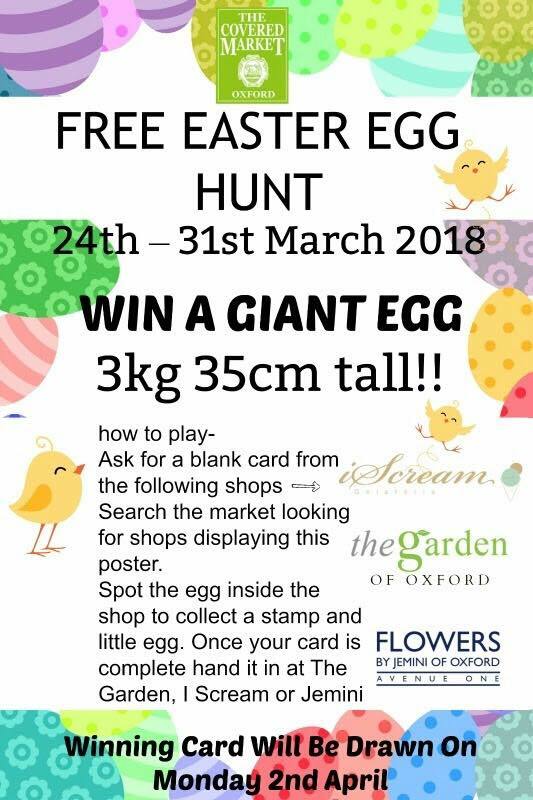 Pop along to Oxford’s Covered Market for your chance to win a HUGE 3kg chocolate egg (with runners up prizes). Meander around the historic market while looking for clues, and you’ll keep the children occupied for ages, all the while upping your chances of taking home that massive egg! Pick up a few more goodies while you’re there too.